Here's an amazing piece from the works of famed sports artist Fred Kail. 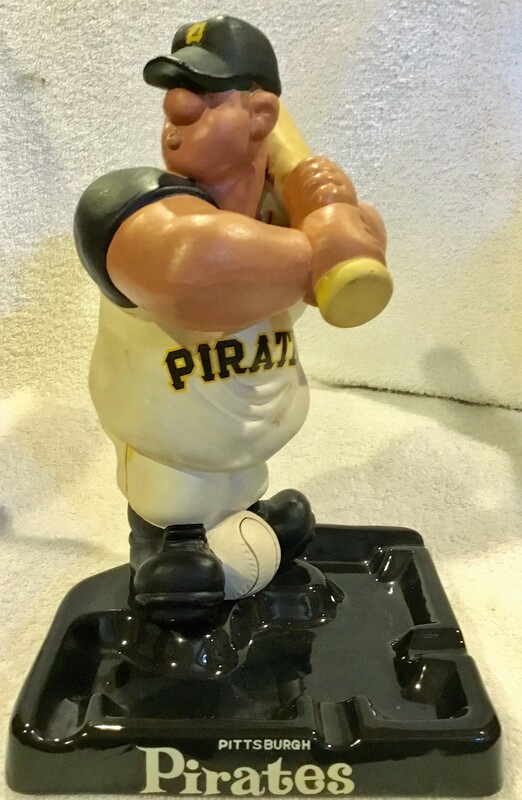 It's an early 60's ashtray of the Pittsburgh Pirates. 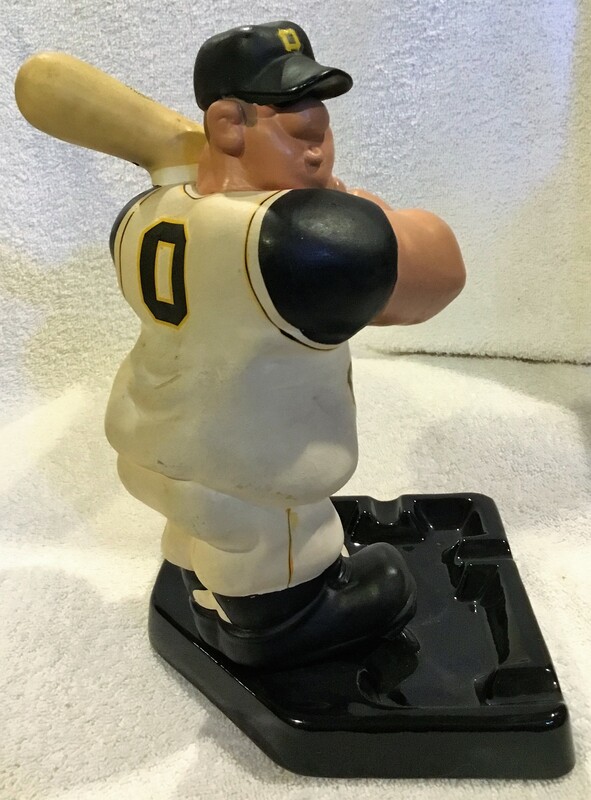 These baseball ashtrays are extremely rare and are some of the most sought after figural items in the hobby. This Pirates piece was made in Japan and features a large-sized Pirate batter. It stands almost 9" tall. It has bright coloring and the decals are strong. 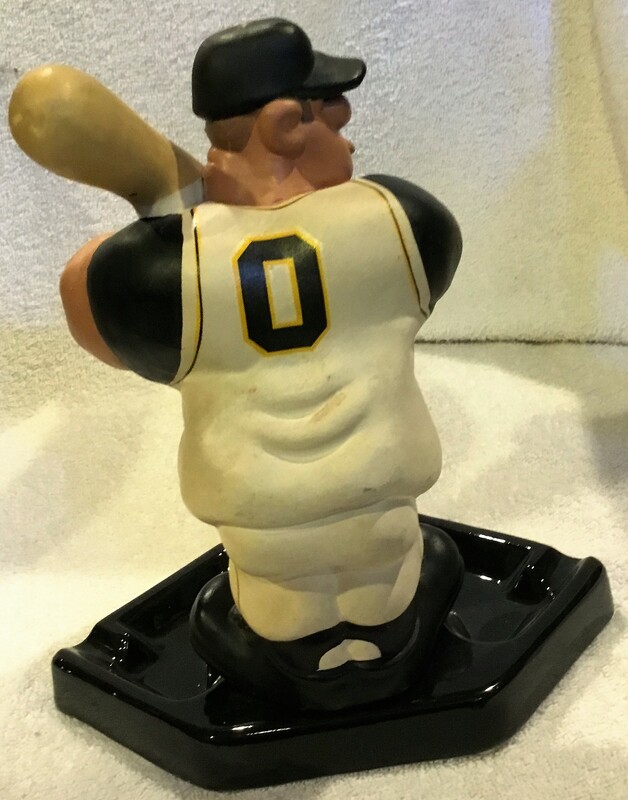 As with all the baseball ashtrays, the statue is attached with a nut under the base of the tray ( the nut is a replacement). This is only the 2nd example of this tray that we've seen in over 25 years in the hobby.